Friday Night Fights comes to the DC Armory in Washington D.C., hometown of disgraced IBF junior welterweight champion Lamont Peterson (30-1-1, 15 KOs), who he defends his title against former WBO junior welterweight titlist Kendall “Rated R” Holt (28-5, 16 KOs). The tagline for the fight is “Redemption”, named for Peterson, whose positive test for synthetic testosterone put his title-winning effort, and entire career in doubt. After more than a year, Peterson is set to make the first defense of one of the titles he won in December of 2011. Peterson nabbed the IBF and WBA junior welterweight titles against Amir Khan in his last fight. He then failed a drug test before their rematch was to have taken place early in 2012. Peterson admitted to using synthetic testosterone pellets dating back to his title-winning effort against Khan. The WBA opted to strip Peterson of his title, while the IBF curiously allowed Peterson to keep his title. Throughout his career, Peterson has been in the ring with Timothy Bradley (L UD12), Victor Ortiz (MD10), Victor Cayo (KO12), and the aforementioned split decision win over Amir Khan. The win over Khan, even before the positive testosterone test, was clouded in doubt over the two questionable points taken from Khan (for pushing), and a scorecard controversy involving a mysterious man in a hat. 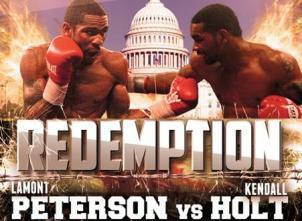 When Peterson steps into the ring on Friday night he will be making his first ring appearance in over fourteen months. If ring rust is an issue for Peterson, it may also be an issue for Holt, who has been out since last March recovering from shoulder surgery. Prior to injuring his shoulder, Holt stopped Tim Coleman in 2 rounds. 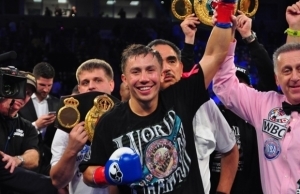 The Coleman fight was Holt’s comeback from a split decision loss to Danny Garcia for the WBC and IBF #2 rankings at junior welterweight, and his time off did not hurt his ranking with the IBF. This will mark Holt’s fourth shot at a world title, with his first two coming against Ricardo Torres (1 loss and 1 win), and his third a losing effort in a WBO/WBC title unification fight with Timothy Bradley in April of 2010. This fight presents a good clash of styles. Neither guy is particularly cute in the ring; both are real meat and potatoes, elbows and assholes types. Holt has more pop in his punches, but he can be chinny, as evidenced by his three knockout losses. Holt has power in both hands, but his left hook has produced the most fireworks throughout his career. 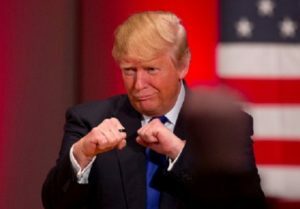 He often throws a lot of one or two-punch combinations, and when he chooses to let his hands go, his last punch is usually a home run. Peterson is the more complete fighter. He is at his best when in close where he can rip his opponents downstairs and to the head. Peterson moves his head well and uses angles to get in close, but he can be hittable on the way in. Peterson will throw his left hook in succession, mixing it to the body and upstairs to keep his opponent guessing. When he isn’t attacking, Peterson will look to catch punches with his gloves and counter from outside. This is a fight that will surely produce. Peterson is younger and fresher. He might be dropped in the fight, but he’ll get back up and impose his will on Holt, who may very well also taste the canvas a time or two. Expect a damn good fight and for Lamont Peterson to take a close unanimous decision victory in front of his hometown fans. 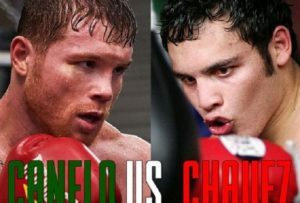 The televised co-feature will pit two undefeated, untested super bantamweight prospects in a fight that will take someone’s “O”, barring a no-contest or draw. Ramon Morales (14-0, 7 KOs) of San Ardo, California will take on Jesus Hernandez (10-0-3, 2 KOs) of Los Mochis, Sinaloa, Mexico. Friday Night Fights will air on ESPN2 at 9 PM ET/6 PM PT. The Boxing Tribune will run a full recap immediately following the broadcast. You can email Tim at timharrison65@gmail.com, or follow him on Twitter at www.twitter.com/TheTimHarrison.